Above is the effect I’m going to teach you how to do in this tutorial. The first thing I’ll do is open my photo into Photoshop. Here’s the photo I’ve selected for this project. This kind of effect works great with action shots. Boats traveling fast across the water or cars speeding past you, or even people running or jumping: The next thing I’ll do is make a selection around the main subject. I’ll use the Quick Selection tool to make my selection: Once the selection is made, I’ll hit CTRL-J on my keyboard. This will put the selection onto its own layer: In the next step I’ll click on the background layer to make it active. 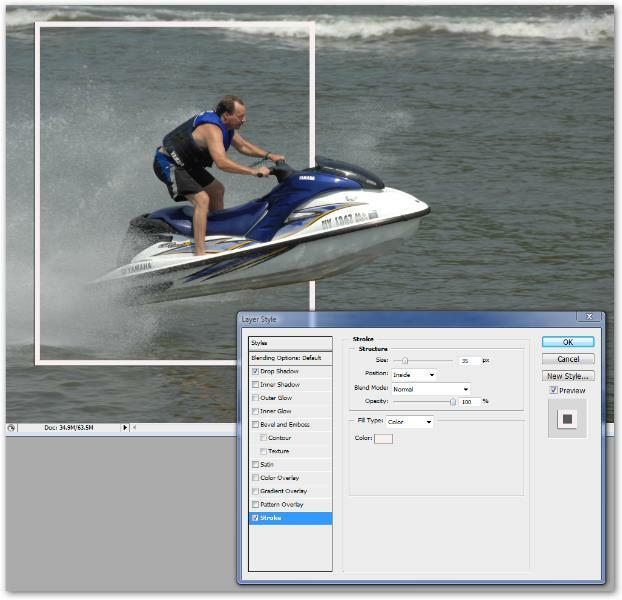 Then I’ll use the Rectangular Marquee Tool to make a rectangular selection around the part of the photo I want to keep. I’ll make sure not to select the front part of the boat. This is the part that I plan on having pop out of the photo. After I make the selection with the Marquee tool, I’ll again hit CTRL-J to put this selection on its own layer. 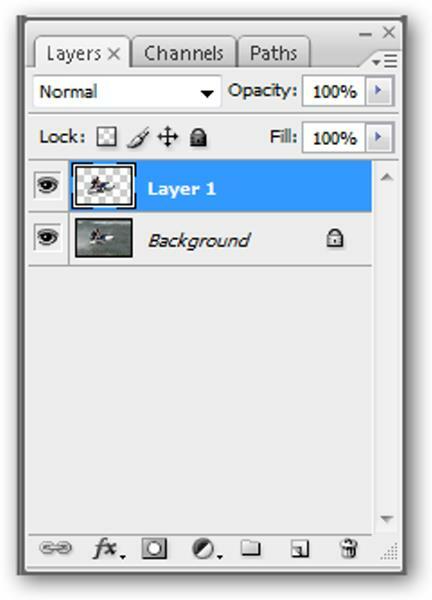 So far this is what the Layers palette looks like: Next I’ll click on the rectangular photo layer, still labeled “Layer 2″. Here I’m going to put a stroke around this layer to make a border/frame around it. 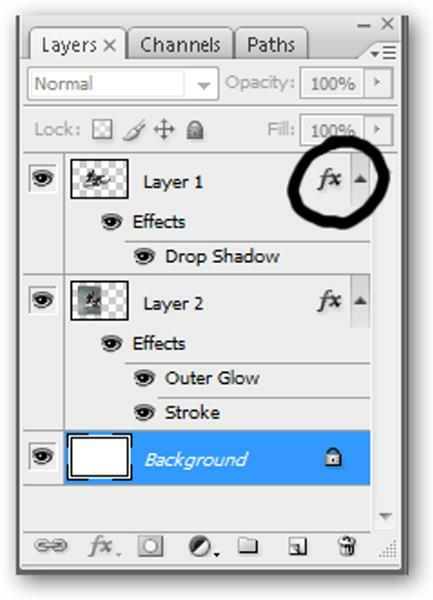 At the bottom of the Layers palette there is an FX icon. This is the layer style icon: I’ll click on the FX icon to open the layer style menu. 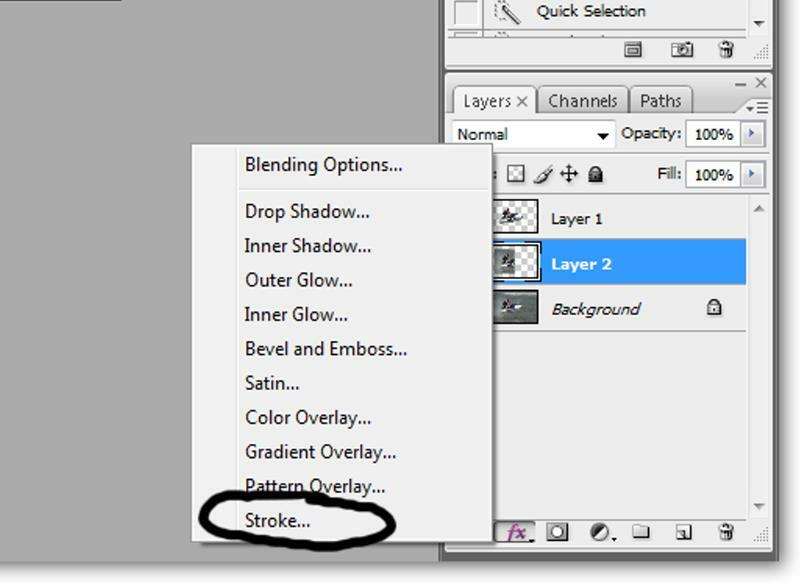 Then I’ll click on Stroke at the bottom of the list: Here the Layer Style dialog box opens: The first thing I like to do is change the color of the stroke, so I’ll click on the color red that shows as the default color. When I click on the red box, the color picker opens up. Here I’ll choose the color white. I’ll do this by dragging the circle in the box to the top left corner where the red color fades to white. I’ll then click in the white area. Then I’ll click OK: Now that the color of the stroke is chosen, it’s time to decide how thick to make the stroke. I think 35 is a good thickness and that’s what I’ll use for this project. Where it says “position,” I’ll change the default of “outside” to “inside”. This will get rid of the rounded edges of the stroke. I’ll leave the opacity to 100%. 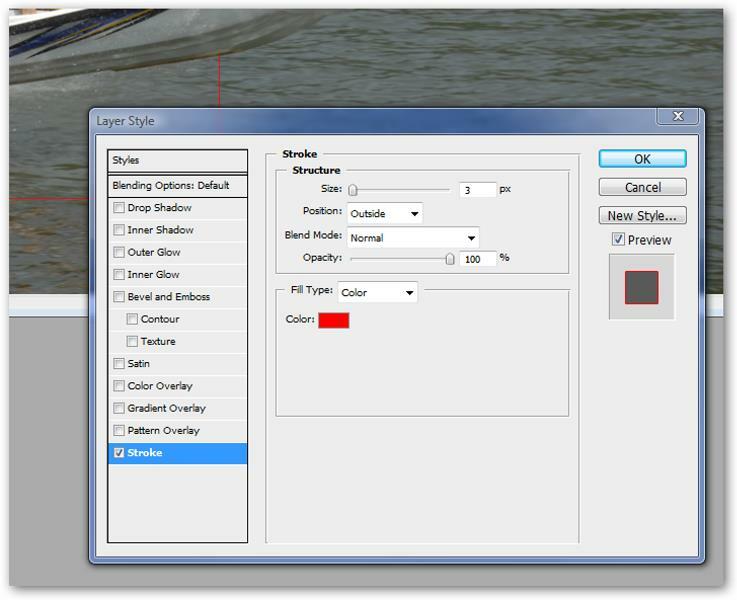 Here are the setting I used in the Stroke dialog box: The next thing I’ll do is choose the Outer Glow option in the Layer Style dialog box. It’s the third one down on the left. Make sure to click on the words â€œouter glowâ€ to see the options for this feature. Here I’ll change the Blend Mode from Screen to Multiply. I’ll bring the Opacity to 60 and then I’ll click on the black box to change the color to black. 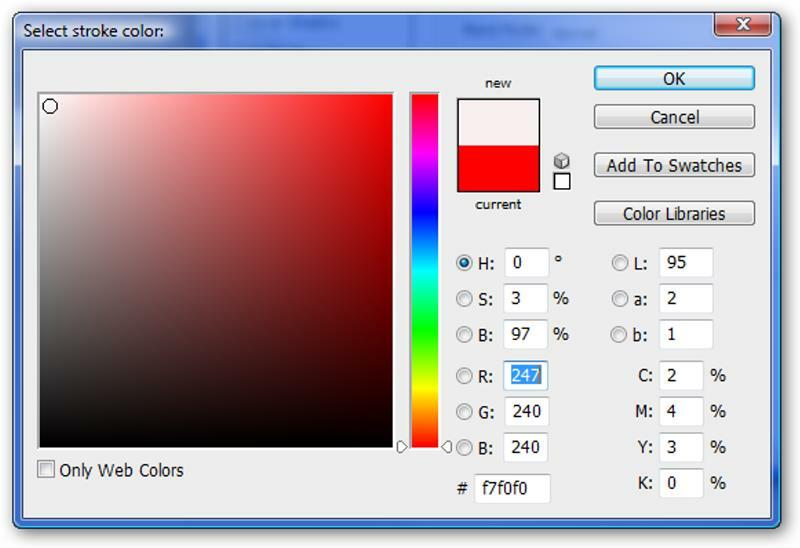 Clicking on the black box will bring up the Color Picker dialog box. I’ll just click on the black part of the box then click OK. In the Elements section of the box I left the Technique set to Softer, Spread 30 and Size 40. The Quality section at the bottom of the box I’ll just leave at the defaults. Then I’ll click OK. Play around with the sliders and see which arrangements suit your photo. 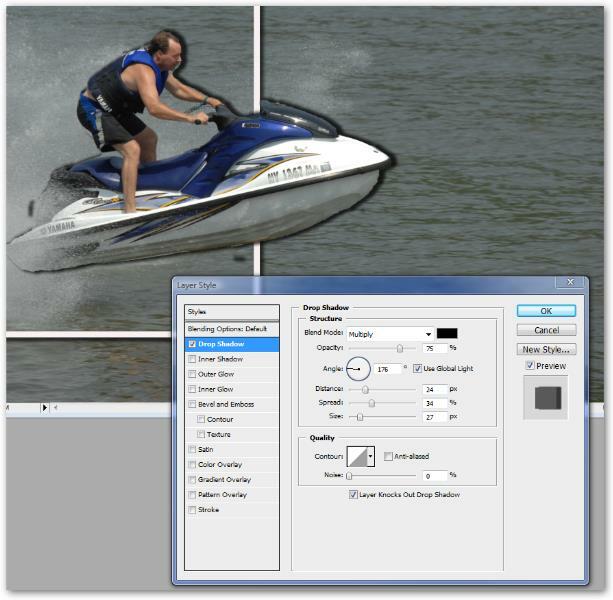 Here is the setting I used in this box for the Outer Glow style: Now I’m going to add a little drop shadow to the man on the ski boat. 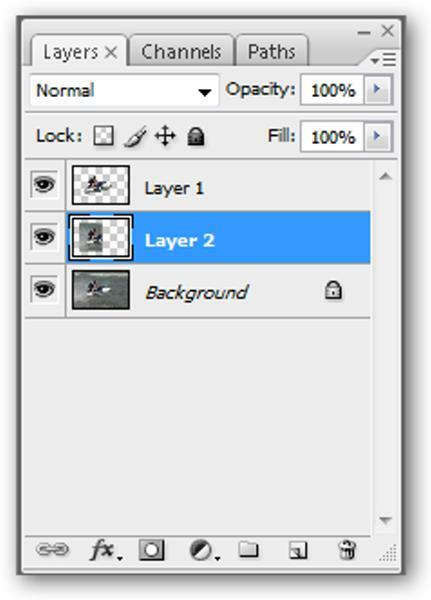 Here I’ll go to “Layer 1″ and just double click on the layer to bring up the layer style dialog box. 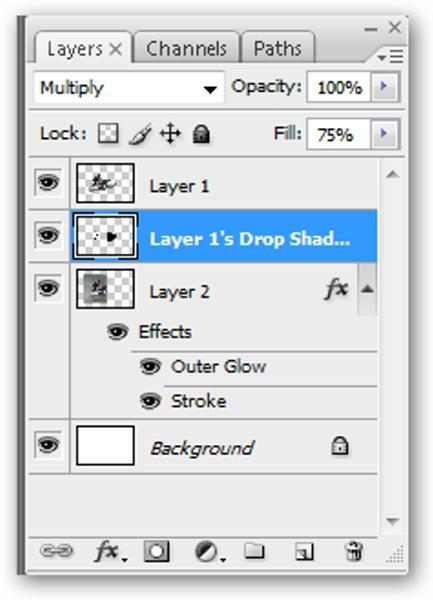 In the Drop Shadow dialog box I’ll select Multiply as the blend mode. 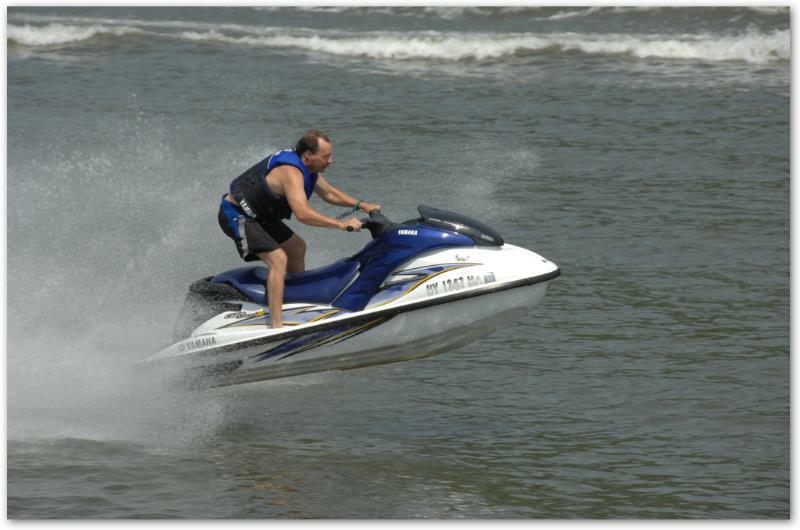 I’ll put the Angle at 176 so that the shadow is in front of the boat. I’ll set the Distance to 24, the Spread to 34, and I’ll choose 27 for the Size. I’ll leave Quality at the defaults. Then I’ll click OK. Here are the settings: I need to get rid of the shadow inside of the box. 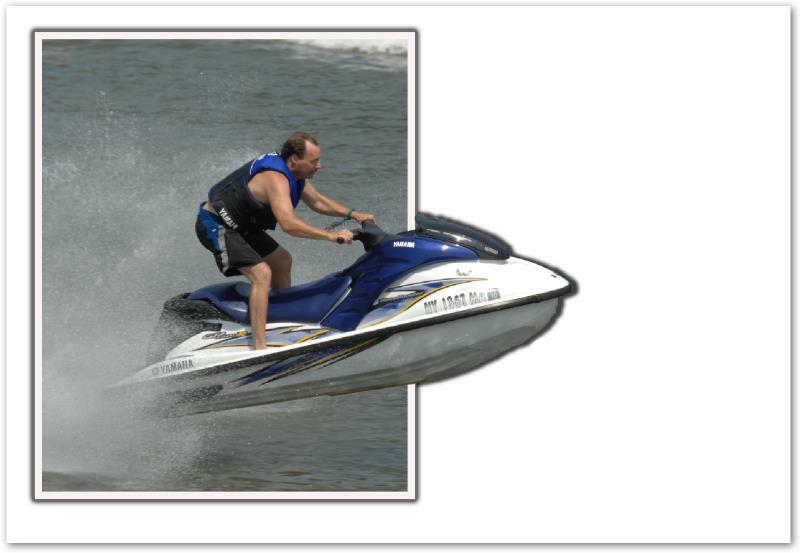 I want the shadow outside the box to give the man on the ski boat the appearance of jumping out. I’ll save this step for last. 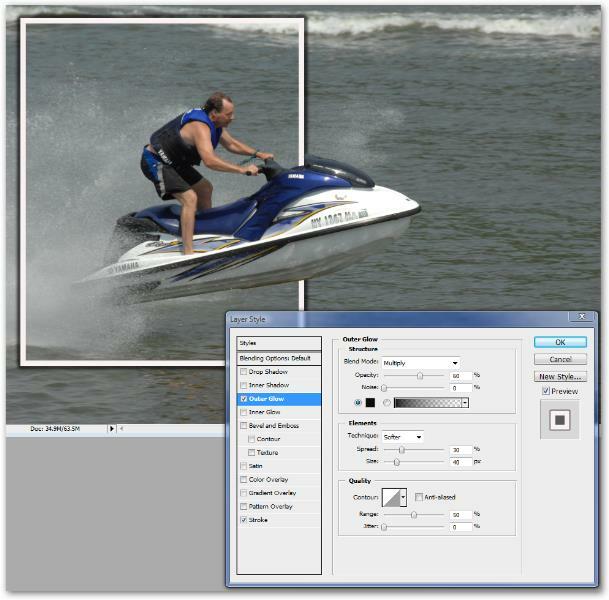 To get rid of the distractions in the background behind the box and the man on the ski boat, I’ll click on the background layer and fill it with white. To do this, I’ll press D to set the background color to white, then I’ll hit CTRL-BACKSPACE to fill the background with white. The last thing left to do is to get rid of the shadow inside the box. To do this I’ll go to “Layer 1″. 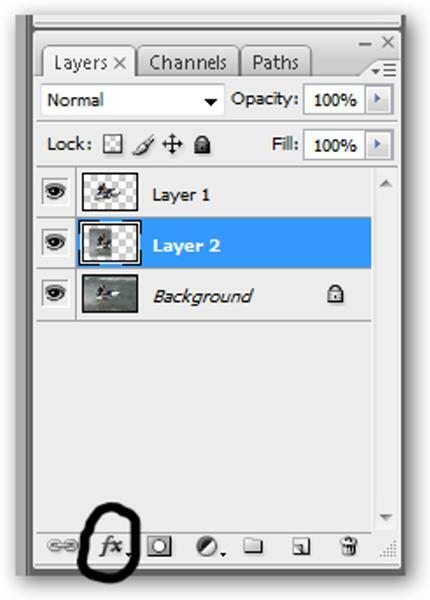 In “Layer 1″ I’ll right click on the FX icon on the right side of the layer: From the menu I’ll choose Create Layer. This flattens the layer so we can now erase the inner shadow. When I’m ready to erase I’ll make sure I’m on the “Layer 1” “Drop Shadow”: Here is the finished photo: Experiment and have fun! thank u for this great tutorial. i am doubting that these will work on photoshop5.0? Excellent tutorial…easy to follow. Thanks for posting.